Reaching in to his bags, he pulls out the Goron Mask. The Skull Kid's face fell. 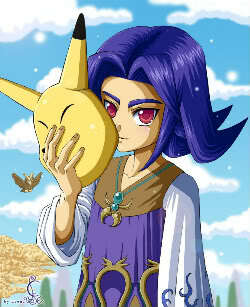 "Aw, can't I use that Zora mask and be really cool? I don't wanna be a fat rock." "You take what you get, Skull Kid," Tatl replied. "Just put it on and let's get on with it. Besides," she added, smirking, "if you look like an adult, Link won't get a hard time for being a kid alone at a carnival." Skull Kid grumbled, but did as Tatl said and put the mask on. 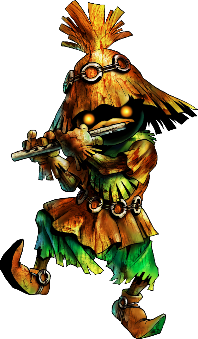 He became a goron with a straw hat, but otherwise he was unrecognizable as the trouble-making Skull Kid. 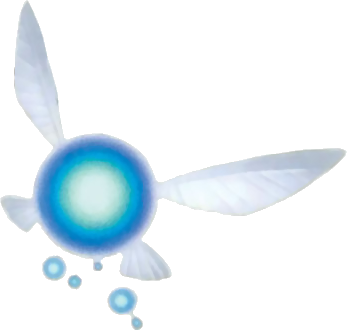 Tael recongized the name that Link spoke. He shifted uncomfortably in thought before he remembered. [i]That's right, I bumped into Navi a few weeks ago. I apologized and she introduced herself to me. She said she was heading somewhere...but...I can't remember....should I say something? Or not...?" Tael looked around for an answer, but yet again couldn't find one. So he decided to relax and enjoy the carnival. Tatl stuck close to both Link and Skull Kid, occasionally admonishing the latter if he began to wander from the former. Things were lively, however, and eventually even Tatl was lost in the fun of the carnival. "This is great!" she shouted over the carnival music to both Link and Skull Kid. She'd entirely forgotten about their plan to go through the clock tower to wherever it was Link wanted to go. "You guys wanna get somethin' to eat? I'm starving!" He had to shout over the music. The song playing was 'The Ballad of the Wind Fish'. It sounded strangely familiar to him. As he turned around to speak with everyone, Link thought he saw someone wearing a Keaton's Mask. It couldn't be, he thought. After the glow of the light Kafei finds himself at the other end of the door in a realm he had never seen before. He was in the same room link had been when he first entered Termina. 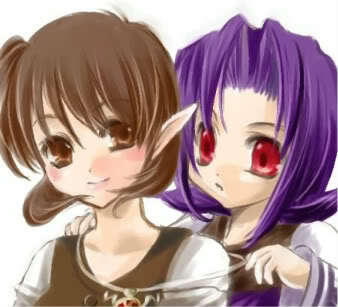 Kafei gets a grip and murmurs "Where am I? I felt as if Anju was with me..." Pressing forward through the big caverns Kafei finds flower buds that he had recognized from Clock Town. "What these flowers are just like back home... I can't use them but perhaps one of my magical masks could help..." He reaches into his knapsack and pulls out his bunny ears that he received as a child for his birthday. "I've kept these masks a secret for a long time... Now to put them to use!" As Kafei puts on the cute bunny hood he begins to run and jump with amazing speed. His training under the Keaton kind along with the magical properties of the bunny hood let him run up the and across the chasms as if it was a small hop. "I feel so fast and light! Nothing can stop me!" Kafei says with a smile on his face as his speed reminded him of his childhood. When he reaches the exit to the cavern he looks around and takes a moment to take in the silent sounds of the Lost Woods. "This place is so peaceful... though I must press on." 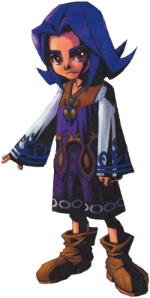 Kafei then dons a great fairy mask he had received from the great fairy of Clock Town herself when he went to her in search of answers. This particular mask could sense faeries of all kinds for miles away. Kafei focuses on were the faeries are located... "I feel a strong presence of fairy... she is blue and alone I must see." As Kafei moves toward he sees a little blue fairy floating around by a pool all alone as if she were looking for something. He takes his mask off and asks "Dear fairy what is your name? Are you lost?" No wait, my bad. No blue hair. Skull Kid stood on tip toe, a difficult task for his goron form. "Kafei? Really?" He looked around. "Nope, don't see him." He paused. "But I don't see him or that girl he was supposed to marry. Anju, wasn't it?" Someone looked at Skull Kid and Link in shock. "Don't you know? Anju's sick and dyin', and no one's seen Kafei since she fell ill, little kid form or otherwise. They say it's a curse from that damned imp." Tatl stiffened. "You're kidding," she said, shock. She spun to face Link, Skull Kid, and her brother. "Goddesses above. What in Termina is going on?" Tael shifted uncomfortably. He could tell that the air was getting rather tense. "Hey, what reason are you asking?" "I see...you're lost, aren't you? I can lead you out of these woods..."
Looking slightly confused and worried, Link said, "Wait a minute... Anju's sick? Well that shouldn't be a problem, right? We'll just play the song of healing for her! As for Kafei, do you have any idea where he might've gone, guys?" "Haven't the foggiest," the random bystander replied. "Far as I can tell, he up and left when Anju fell ill."
"Wait, I remember him talking with a stranger at the inn," piped up another of the carnival workers. "Askin' how to help Anju. Said something about a curse from that masked imp fiasco." He shrugged. "I think the stranger said somethin' about fairies being the cure." Skull Kid looked up at his two fairy friends. "Is that even possible?" he asked. It sounded a little far-fetched. If the fairies had had any such power, that would have solved so many problems for the three. "Not that I know of," Tatl replied. "I mean, there are fairy fountains that are full of fairies with healing power, but most they can do is fix bumps and bruises. I don't think even the Great Fairies could take care of a curse from that evil mask." "Thank you I do need help getting though the forest..." As the pair was walking Kafei thought to himself I know faeries can't normally cure the curse that Anju has contracted... I need to sacrifice a ton of the life force of a few faeries in order to cure her... I will succeed I can't fail! "Ms fairy how did you end up in this forest like this away from all the others?" "Um..." Tael started quietly, before finally he decided to speak up on his own thoughts, "what if....you combined....a bunch of healing fairies? Then maybe...it could work somehow?" He finished quietly, but was probably too quiet to be heard except by Tatl due to to the loud carnval music. "Listen. I'm not like the other fairies," Navi explained carefully, being sure not to give too much away about herself, "unlike most of them, which are guidance or healing fairies, I'm a navigation fairy. Therefore, I know every inch of Hyrule. Which is why I can travel where ever I please." Tatl's tiny eyes widened. "Tael, you're a genius!" She flew to Link and repeated what Tael had just said more loudly. "That means we have to go after him!" "But we don't know how to get wherever he went," Skull Kid pointed out. "All we know is that if we go through that door in the clock tower, we'll get back to Link's home." "Well, then maybe we should try that," Tatl replied tartly. "Maybe people where Link's from might know more about it." "Alright then! 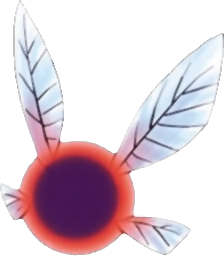 Let's go, Tatl, Tael, Skull Kid!" Link regretted saying this the second he shouted it out loud in the middle of Clock Town. "Hang on a sec! Did you just say Skull Kid?" "Moron," Tatl murmured, flying under Link's hat and gripping to his hair so she wouldn't fall off. She was surrounded by morons. Why couldn't Link just keep quiet? Skull Kid was running, too, but he couldn't run very fast. "This was why I wanted the Zora!" he called after both Link and Tatl. Leave it to them to pick the worst mask for this. Even Deku were faster than this oaf. Doing flips over carnival stands and dodging guards, Link jumps up onto the stands and starts sprinting towards the clocktower. He rolled after Link, gaining speed. People dived out of the way as they headed for the clock tower. And then Skull Kid barreled through the door and stopped. He was a little dizzy, but he soon was over it. He ripped off the mask. "Let's get out of here," he called to Link, running down the planks to the strange door in the basement. "I've never....flown so fast before." He said quietly, mainly to himself. He hated to be the center of attention. "Quit being such a baby," Tatl snapped at her brother. 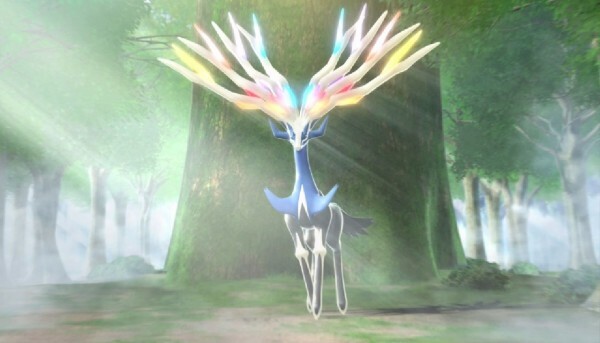 She floated ahead of Link and Skull Kid, the light radiating from her body hardly enough to lessen the darkness but enough to help them see where they were going. She paused when they reached the old door, then turned to Skull Kid. "Now what?" The Skull Kid stepped forward and tugged on the rock. "It won't budge," he panted after a while. "Any ideas, Link?" Link thought for a bit. He was still exhausted from running through the carnival. "Well..." he said panting, "You could just put the goron mask back on and smash it. Besides, there might be rupees in there, and my wallet's kinda empty." A dark grin spread across off his face. "Heh heh, I'd love to." He was about to put on the mask when Tatl stopped him. "Oh no you don't," she said, struggling to pry the mask from Skull Kid's fingers and dropping it back into Link's hand. "You do it. I don't trust him to give it back if he plays with it too much." "Interesting... I've never heard of this place before do you mind showing me around Hyrule? I am interested to what this world has to offer. I can tell you stories of Termina if you've never heard of that realm before."